Taste of Ink Design and Print Studios is a full (4/4) color printer. 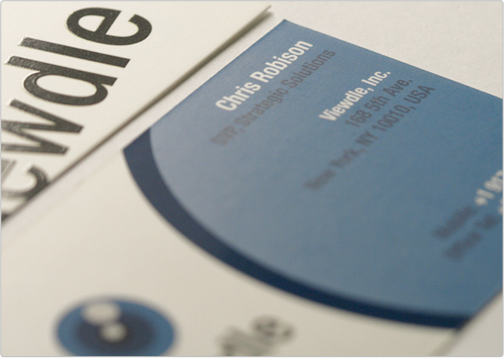 We use the latest technology in full color printing machinery to bring every business card design to life. Only the finest equipment and inks are used in creating our elegant and classy silk laminated marketing materials. 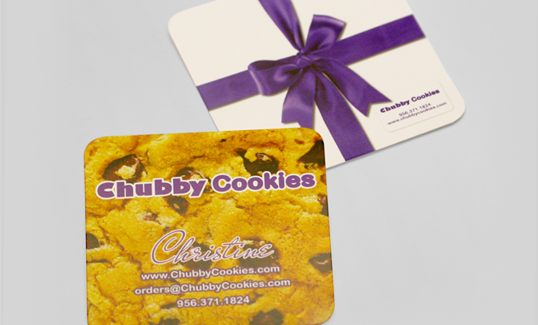 Every print design can be printed in full color on both sides of the card stock. The advantage of 4/4 printing is that any unique color can be achieved, as well as any combination of custom color options. Taste of Ink has expertise in the area of producing fine looking silk business cards, so we only offer the best 4/4 full color printing for every order we receive. We specialize in creating beautiful designs and using the most unique combinations of printing and custom enhancements to make each project a work of art. 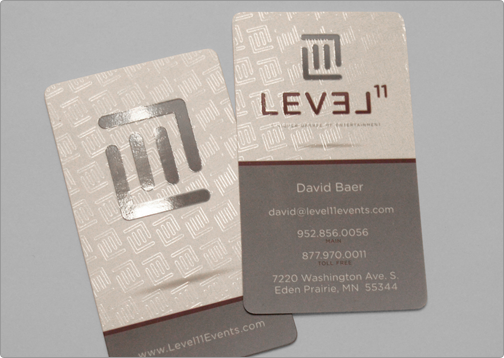 Full color printing has many custom options available for bringing the best out of any business card design. Upgrades include silk laminate coating (satin laminate), spot gloss (UV highlighting), decorative color foil stamping, and die-cuts performed with a laser cutter. 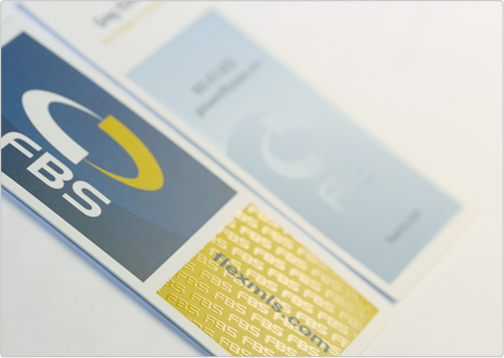 Printing silk business cards with any combination of these unique customizations will make each full color printed piece an impressive and effective marketing tool.